Any company has a budget for training. The household is probably the only business in operation that throws the CEO, responsible for all aspects of the business, including finances, into the field with little to none! And we wonder why so many people sometimes make poor decisions. When you’re investing in training, remember that with all the free information out there, all you really have to invest is your time. Train yourself, and expect each and every member of the family to step up as well and share some of the responsibility. For example a two parent working household and you normally eat out? Single working mom, stretched too far? Perhaps a young couple with no kids or a stay at home parent run ragged by running kids around all day? If you’re committing to, say 5 hours or 8 hours or 10 hours a week in the kitchen cooking, what are the other people in the household committing to? Prepping, helping, shopping, cleaning? While watching a video recently from “Cook Your Life,” with Edward Brown (40 years a Zen cook, and responsible for the Tassajara Bread Book) a woman vehemently said, “If you are concerned about your family’s health, about eating healthy, about good times and taking advantage of our wonderful, wonderful vegetables, about eating more vegetables and less meat, you will learn.” I might add that if you’re concerned about the many additives and processed foods, learning is even more important, and if you need to keep to a budget, it’s vital. Remember, too, the more your family helps, the more likely they’ll be to buy into it…and the more skills they will be learning themselves. Learn how to cook if you’re not already adept. It’s unrealistic that you can live both in a healthy and frugal manner and not spend time in the kitchen. One or the other, perhaps, but not both. Take a class if you need to: check fliers from your school district, alternative universities and cooking stores. Go with our spouse or children or roommate and have fun. Ask for a class as a gift. Better yet, find a friend or family member who can mentor you. Believe me, they will be flattered. Get a couple good cookbooks. There is a difference between a cookbook and a collection of recipes, by the way. A cookbook generally covers all the basics, including techniques, nutrition, portion sizes, seasonality, etc. A recipe collection may have some of the basics detailed, but may not. Start with the basics. I’ve always liked Joy of Cooking and Fannie Farmer. I still refer back to my copies, and recently bought their new, updated version. Check used bookstores, thrift shops and ask your friends and relatives what books they use or don’t use. Use the library. Watch Public Television, particularly America’s Test Kitchen, the Foodnetwork, the Cooking Channel and Hallmark Channel – there are several shows geared to the beginning cook, and it’s sometimes easier to watch a show to see the methods used rather than reading and trying to figure everything out. 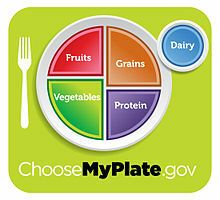 Learn about current nutrition information, what you should feed your family, and how often. It may seem to be always changing, but surprisingly in the 1940’s they were recommending many, many servings of fresh fruits and veggies, as well as whole grains! You may want to use your common sense to sort out some of the confusing trends. Margarine or butter? Who are you going to trust, a cow or a chemist? Find, if you can, where the information comes from – was a certain study done? Does it seem valid to you? Even doctors and nutritionists are often mistaken. If you eat as simply and as low on the food chain as you can, and save the special meals for special occasions, you’ll most likely have better health and it will be frugal, too. If you’ve never been taught, or even if you have, learn and keep up with the latest findings in food safety and storage. Know how to store food properly, and how to set up and organize that storage. Food poisoning and waste are never frugal. If you have to err, err on the side of caution, but don’t waste because of not understanding what food dates mean! Keep your kitchen, counters, and sinks clean, change out dishrags often, throw out sponges and never use. Don’t towel dry or put away dishes wet. Be very careful about washing hands and cross contamination.There are 12,000 deaths every year due, in some way, to foodborne illness and contamination. Investigate home economics. There’s a word you seldom hear anymore that is more pertinent now than it has been in a long time. Know how to save on basic ingredients. Learn how people from different times and those from different cultures and economic status have managed to not only survive but thrive. Know as well that some of the old standbys that were considered thrifty may not be so today. I’m guessing this is the first time in the history of the U.S. that vegetables sometimes cost more per pound than many proteins, even when they’re in season. Bacon, hamburger and soup bones, considered budget items in the past may very well cost more on sale than many roasts. Stores are focusing on “value-added” products and the fresh food aisles are shrinking. Interestingly enough, most of these convenience items still cost way more than homemade. Learn how to maximize your time, effort and money. Time management is absolutely key when making good, fresh homemade meals on a budget. It takes a lot more effort and planning to do it efficiently than it does to nuke nuggets. Read up on the many ways others have done so. I try to include ways to maximize your time as well as money in every recipe. This is truly the information age. Check out the many websites and blogs about shopping, couponing, and cooking. Most are run by very sharp individuals who love to share what they know and learned. Don’t take as gospel everything you read or hear, though. Arm yourself with knowledge, insight and a healthy skepticism and you’ll produce healthy, nutritious, and cost-effective food your family will eat! Wow, now didn’t I just sound like I was from the 40’s! Makes me want to go get a house dress! Which just made me think, do get an apron – there’s no better way to protect your clothing from unsightly food or oil stains than to throw on a big, bib apron.